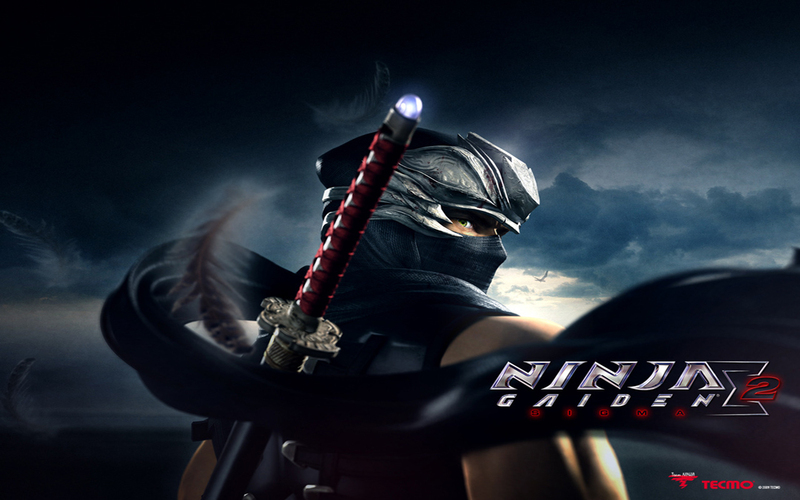 Master ninja Ryu Hayabusa returns once again in the true sequel to one of the greatest games on the original Xbox, but will his bloody adventures be just as fun this time around? Preventing...Something: As was the case in Ryu's last gory venture, the story isn't the game's strongest aspect. The story of Ninja Gaiden II once again revolves around Ryu, this time trying to stop the resurrection of Archfiend. If you thought the story of Ninja Gaiden I was hard to follow prepare to become shocked. Of course, the story isn't meant to be the draw-in, it was supposed to be the bloody good fun. And Ninja Gaiden II has plenty of it to go around the 14 stages, but first you have to start with the weapons. Hack 'n Decapitate: When you first begin your adventure, you will only have the Dragon Blade and a limitless supply of shurikens. That arsenal soon grows to a massive eight melee weapons, a bevy of projectile weapons, and several devastating Ninpo attacks. Each melee weapon can be upgraded, unlocking new combos and adding even more depth to an already strong system of combat. Some old favorites have returned, while some have been dropped, and a few more weapons have been added into the mix. The varieties of the weapons have been drastically increased, and you will never get sick of your death-bringing arsenal. You will undoubtedly love most all of the weapons, and you will often end up going from battle to battle with a different weapon every time. When you face the various (very various, there are a lot of different enemies) foes, you will now have the ability to hack off enemy's limbs. You will be able to hack off legs, arms, and of course heads in the goriest fashion to date...this is not for the little ones. No More Massive Trauma: One of the most significant changes in Ninja Gaiden II is the vastly decreased difficulty level. You can now choose the most forgiving difficulty for the amateurs, even easier then Ninja Dog. The bosses are a lot give you some slight room for error, but that's not to say that the game is easy. The game is still crushingly difficult on Normal, but you won't often feel like the game is cheating you out of a chance...often. Visual Perfection: One of the greatest improvements in Ninja Gaiden II is the tremendous graphics and the improved overall slickness. The graphics in Ninja Gaiden II have been vastly improved, with fountains of blood spraying all over the level in truly artistic beauty. Also improved is the overall slickness, which is a lot better then time around. Ryu will jump and vault with true ninja quickness, and the visuals help immerse you completely. In addition to the tremendous visuals, the sound is also at perfection. The music matches the mood of the level, and you can hear it start to thunder when you are approaching another skirmish. You won't hear much of the music though, as the level will echo with clanking blades, grunts, and the sound of lopped of limbs. Rent vs. Buy: This time around, Ninja Gaiden II focuses on pure adrenaline pumping action, with a variety of different weapons. The game doesn't quite have as much content as Ninja Gaiden Black did though, as the only other thing to do besides slice is to dig for some skulls, and that's only for achievements. The game has its small quibbles, but small issues aside; Ninja Gaiden II is at near perfection. If you liked the original Ninja Gaiden, then you will undoubtedly love the latest in the series... this is a must buy.